I've got good news and good news! Stampin' Up always has some new and exciting irons in the fire for us!! Scroll on down to learn about the Bonus Days starting tomorrow, July 7 and continuing until July 31. Then take a look at the new (and temporary while supplies last) Thoughtful Branches Limited time bundle! But first, let's look at some pretty cards. First we'll see some sweet and wonderful cards from friends. I cherish the lovely handmade cards that I receive. 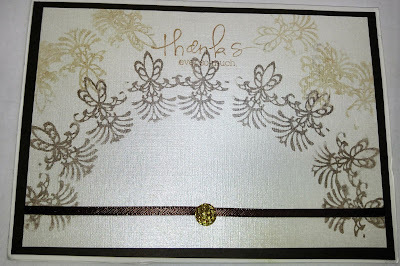 There is definitely an advantage to knowing card makers!! The final two cards are from this past Monday's Art Gallery Cards classes at the Art Gallery of Viera. 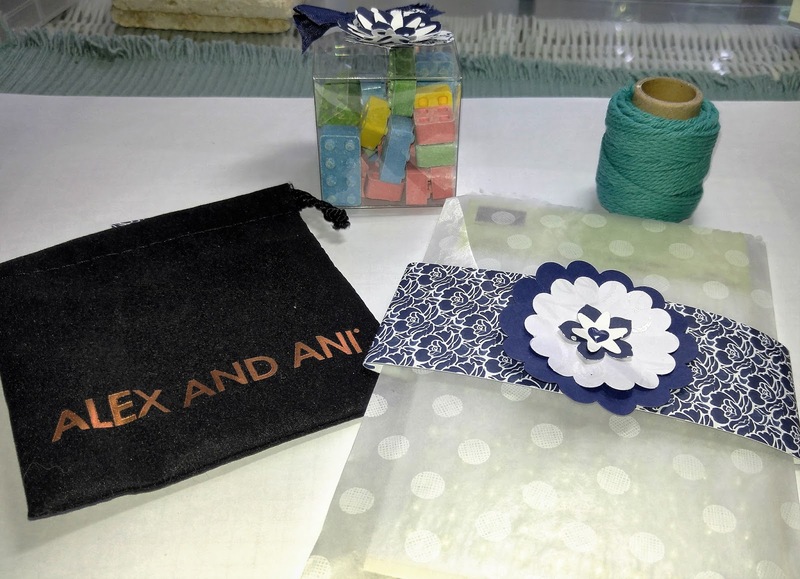 You'll also get a little peek at my Team Downline gifts that were so much fun to put together! I hope you'll find some sweet inspiration!! 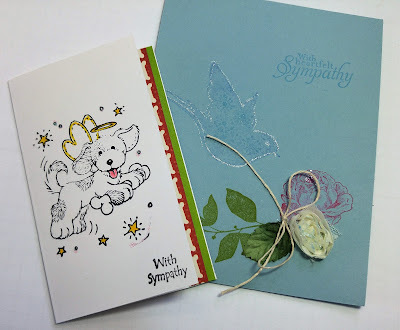 Sweet sympathy cards from Ellen and her sweet little dachshund, Autumn. She had recently heard of the passing of our sweet Sheltie, Preshie. Thank you, Ellen and Autumn. Jane sends out wonderful cards for each and every holiday. (She really does put me to shame!!) Thank you, Jane. 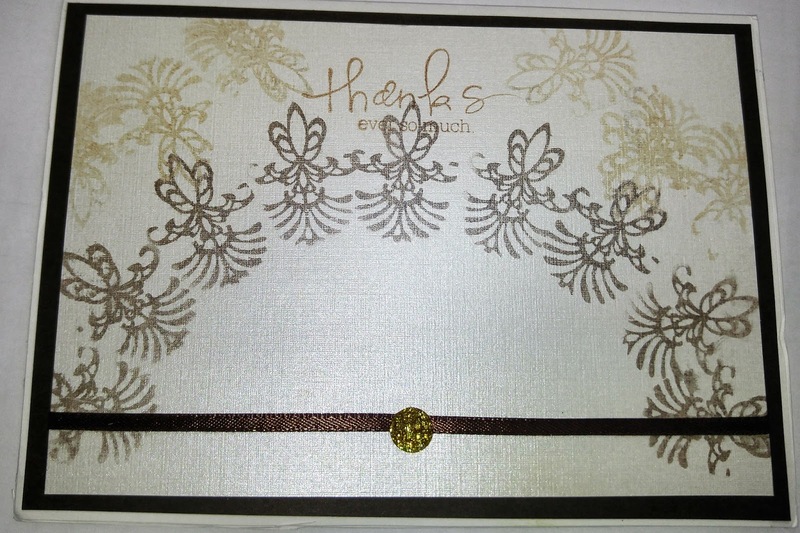 I always love your pretty cards! Parker sent me this pretty thank you card. So original and very thoughtful. Thank you, Parker! When one of my students asked if we could make a spinner card, I took up the challenge. Thank you, Dawn Olchefske, for an excellent YouTube video. 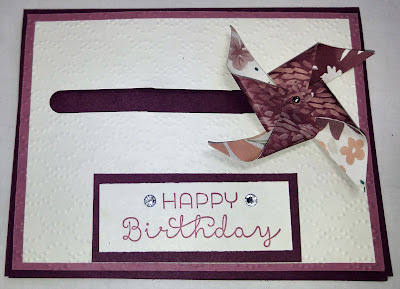 Stampers, you might enjoy more of Dawn's work at www.dostamping.typepad.com Can't wait to make more of these cards! 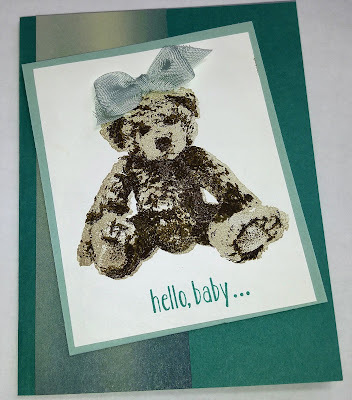 Here is our Baby Bear card! What a fabulous stamp set! 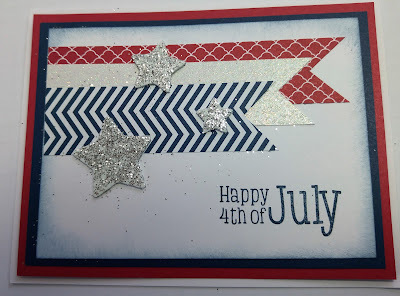 The 3-step stamping creates a beautifully textured, almost 3-D, effect! And last but not least.......My Team Downline gifts. We met for dinner and I had these fun gifts for team members. I had such fun making/decorating them. Check.it.out! You can earn $5 coupons to use in August when you place a $50 order.